Parents can phrase advice to their teens about coping with stress in ways that also help teenagers imagine the perspectives of others. During these tumultuous years, hormones surge, bodies change and adolescents must face a number of social and academic challenges, such as managing their relationships, coping with peer rejection and,-- especially this time of year — graduating from high school or preparing for college admission tests. These worries can take a definitive toll on a teenager's emotional health. "My daughters are dealing with friendship conflicts, school pressures and college applications. My younger daughter has so much homework that she sets her alarm at 5 a.m. to finish it before school begins," says Cameron Gaeren, a mother of two teen daughters in Chicago, Ill.
A 2014 survey published by the American Psychological Association found that teens report feeling even more stressed than adults, and that this affects them in unhealthy ways. Approximately 30 percent of the 1,018 teens surveyed reported feeling sad, overwhelmed or depressed, and 25 percent said that they had skipped meals because of their anxiety. Still, Gaeren says, her kids don't often accept her help in managing their stress. Gaeren and her daughters are not alone. Though all teens need coping skills to help navigate their unique set of stressors, many adolescents either don't turn to their parents for help or refuse to accept their advice. This may be partly due to the way parents typically try to help their kids. 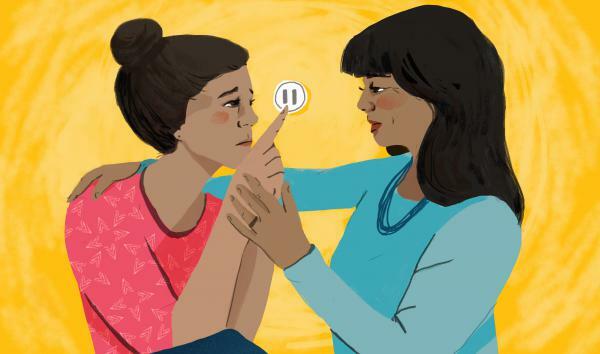 Sheryl Gonzalez Ziegler, a psychologist in Denver, Colo., explains, "When teens are overwhelmed, parents may try to connect with their kids' feelings by drawing on their own childhood experiences. They may say things like, "When I was fourteen, I had a job, and I still did my homework and made time for my friends. I know that you can do this, too.'" They mean well when they try to connect with their teens in this comparative way, but often it prompts a communication breakdown. "Teenagers are looking for proof that their parents don't understand them and bringing up these examples only confirms that you're not on the same wavelength," Ziegler says. She suggests that parents try to relate to their teen's feelings by saying things like, "When I was your age, I had difficulty with my friends. I felt confused, and my heart was broken, too." She says that these disclosures remind kids that even if technology is different, human emotions are the same. Parents can bond with their kids by focusing on these similarities. 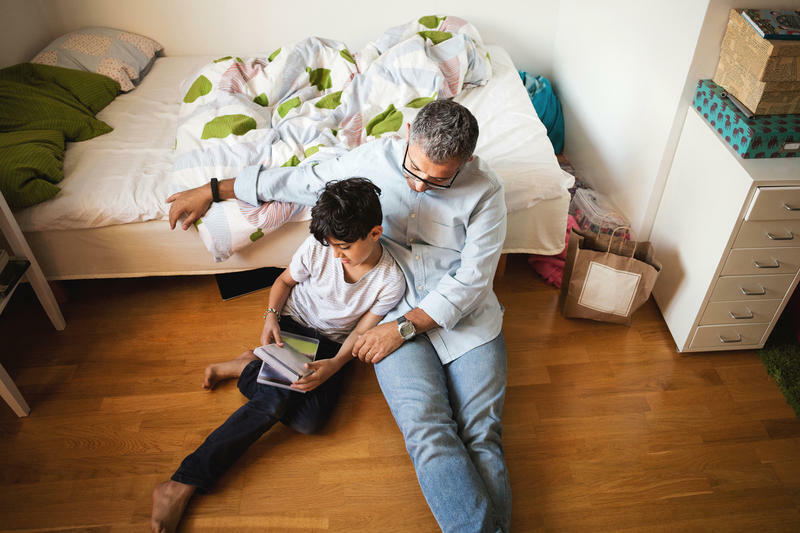 When adolescents are distressed, most parents are inclined to try to solve their problems, but often what teens really need is help developing problem-solving skills of their own. Parents don't need an entirely new set of tools to impart these lessons to their teenagers. They can adapt lessons about empathy and perspective that they taught their kids earlier in childhood. It's particularly important to teach adolescents how to develop a specific type of empathy called cognitive empathy, Ziegler says. 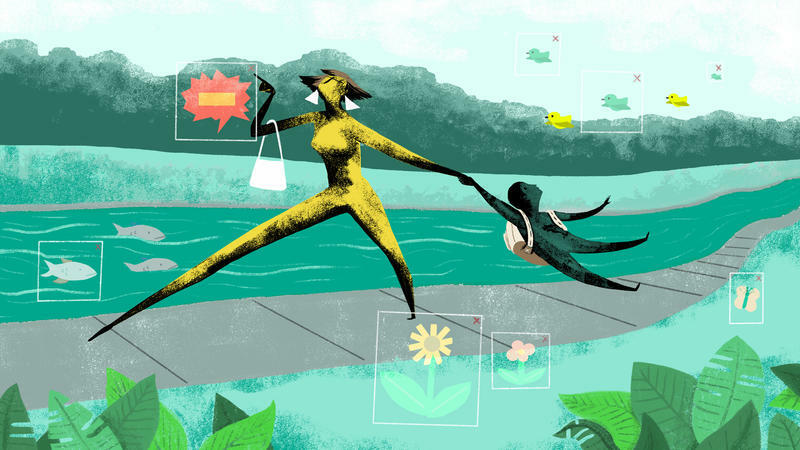 If empathy helps us sympathize with how another person is feeling, cognitive empathy also allows us to try to understand someone else's perspective and how they perceive the world, even when our feelings differ. In a 2016 longitudinal study of 497 Dutch teens between the ages of 13 and 18, researchers found that cognitive empathy skills help teens regulate their emotions, improve their listening skills and strengthen their ability to tolerate conflict. They also found that these skills can help kids work through disagreements with their parents more constructively. Research on teen stress by David Yeager, a psychologist at the University of Texas at Austin, shows that cognitive empathy skills can also help adolescents to realize that people and situations can change, which allows them to face social challenges more easily. Ziegler says that parents can help their kids strengthen this type of empathy by talking with them about the importance of looking at both sides of the story. For example, if a teen is upset because a friend didn't return a text, parents can ask, "What do you think might be going on for her?" or "Remember last week when you didn't text back right away because you were studying for an exam?" Because teenagers are so emotionally driven, they may be prone to react in exaggerated ways. Hence, a conflict with a teacher, a clash with a friend or an unanswered text can feel like the end of the world. By strengthening their cognitive empathy, teens can develop an emotional pause button, which reminds them that even when feelings take over, stressful circumstances are temporary. Juli Fraga is a psychologist and writer in San Francisco. You can find her on Twitter @dr_fraga. One of the most stressful questions a new parent confronts is, "Who's going to take care of my baby when I go back to work?" Figuring out the answer to that question is often not easy. When NPR, along with the Robert Wood Johnson Foundation and the Harvard T.H. 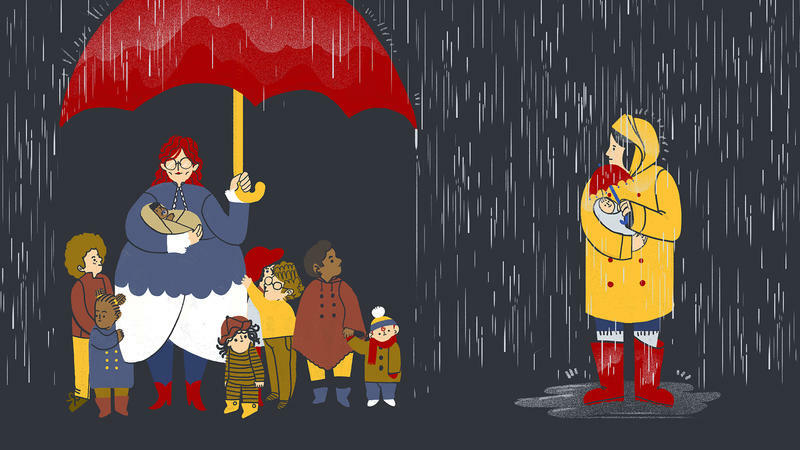 Chan School of Public Health, surveyed more than 1,000 parents nationwide about their child care experiences, a third reported difficulty finding care.